Marianne Hunter showing new work. 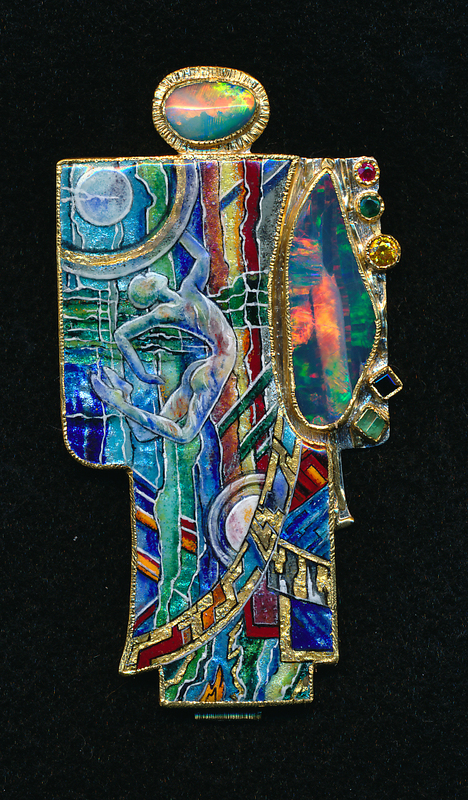 Marianne Hunter will be showing new work in fine ENAMELS June 8-10 at the Contemporary Craft Market. It takes place at the Santa Monica Civic Auditorium On Main St at Pico Blvd. FREE ADMISSION link to the show on my website: www.hunter-studios.com. My work is entirely one of a kind, hand fabricated by me in gold and silver with incorporated gem stones, antique pieces, mineral specimens, pearls. Each is numbered, signed, titled with a poem-title that I've written for that piece. I will also have several collaborations with sculptor in wood, WILLIAM HUNTER, aka my husband, Bill. He is a pioneer in the field of wood-turning. I hope you will stop by my display in booth 403, Friday - Sunday.